WordPress is one of the preeminent platforms for building a blog or website. Dynamic websites, those that allow users to interact and contribute without an Administrator/Web Developer having to re-write and re-upload each of the pages individually every time there’s a modification, are the future. Interactivity is one of the most popular aspects of the internet today, (think social media sites) and WordPress was designed with dynamicism and interactivity at it’s core. WordPress also has become increasingly user friendly so that you don’t have to know how to write code in order to produce something really cool. Not to mention that it’s open source so every piece of software I mention in this article is free. A website at it’s most basic level is a number of files on a computer called a server that has an internet address called a domain name. The files are the pages of your website and the domain name is how people find it. Before you start building your site, there a few things you need to do first. Get organized – create a folder on your computer where you’ll keep all your website related files. Make one for the wordpress files themselves, but then add others specifically for images, ideas, music, videos, or any other components that are independent of the wordpress file structure. Filezilla – Filezilla is an FTP client that substantially decreases the time involved with uploading, downloading and backing up the files for your website. There’s a separate tutorial here that you may find useful. Notepad++ – Notepad++ is a simple text editor with lots of additional features that you will find useful. If you’re a windows user, Notepad (standard) is one of your programs. Notepad++ makes things easier by color coding the different tags in your html, php and other web-related files. Photoshop, Picasa, Irfanview, iPhoto – Okay, Photoshop is far from being free, but Picasa,Irfanview and iPhoto (included with Macs) are and each have the ability to edit photos. There will be times when you’ll want to edit a photo to adjust the size or enhance it some way. Technically the only thing you’ll need to pay for is the domain name, which can be had for $6-$10 a year. If you choose free hosting with WordPress.com or others, you’ll save money, but there are limitations which you may not dig later on. The requirements for WordPress are the PHP scripting language environment and the ability to set up a MySQL database. The recommended hosts for WordPress are Blue Host, DreamHost, MediaTemple, GoDaddy, JustHost and Laughing Squid. Check them each out for pricing and suitability for your specific needs. Best practice for choosing a domain name is to pick something that identifies your brand or what the site is about in some way. Ex: if you sell real estate in Costa Rica, create a name like costaricarealestate.com or real-estate-in-costa-rica.net, you get the idea. Using cpanel, which is a widely used UI (user interface) this video tutorial shows how to setup a MySQL Database. Using FileZilla and Notepad++ this video tutorial shows how to setup wordpress quickly and easily. Keep your WordPress blog running smooth and optimized with 10 of the most useful plugins available. As of WP version 2.8.4 these plugins are used for every WordPress website/blog I set up. My goal is to work as efficiently and expediently as possible. Each of these plugins help achieve that goal and will increase your productivity in a meaningful way. Akismet is included with the default install of wordpress. It catches spam comments so they don’t clog up your bandwidth, compromise your server or infect your viewers computers. All that’s required is to visit WordPress.com and register for an API Key. I use the same API Key for every WordPress application I create. All in One is a simple Search Engine Optimization plugin that works. Headspace is also an effective plugin, and I’ve used both, but my preference is All in One primarily because I find that I personally don’t use all the bells and whistles that come with Headspace and I haven’t noticed any measurable difference between the two. Bad Behavior is a gatekeeper that compliments Akismet and other spam solutions by utilizing a PHP based solution for blocking link spam and the robots that deliver it. As WordPress progresses, updates are necessary to stay current and remain secure and functional. There are times when you will experiment with different plugins, but as time and WP versions march on, some plugins will be rendered incompatible with updated version. Most likely an alternate solution will become available, but you’ll still have deprecated plugin remnants in your database that could conflict with your current application or new plugins. Clean options finds the orphaned database entries and gives you the opportunity to remove them, thus keeping your database free of unnecessary clutter. Contact forms are a necessity, not an option, for any serious blog. Contact Form 7 is a simple, yet highly customizable contact form that is easy to configure and easy to place on it’s own separate page, included in a post or in the sidebar. Whether you’re in the initial development stages or you need to perform a major overhaul of your blog, Maintenance Mode is a great way to let your visitors know that your blog is down temporarily. Maintenance mode is customizable in that it accepts html code and gives you the ability to tell your visitors when to check back. Blogs are dynamic and living documents by design and as the pages come and go you’ll want control over the order in which they are presented in your menu bar or navigation bar. You can change the order by digging into the PHP code, but why bother when someone else has designed this great time-saving plugin for you. My Page Order adds a link in the Pages section of your WordPress back-end, all you have to do is click and drag to rearrange the order. Referencing posts, pages or other components of your blog are made simpler by Reveal ID’s. While this plugin is designed for the more advanced user, there are a few plugins (notably: Featured Content Gallery) that require this plugin to work. TinyMCE is a WYSIWYG (What You See Is What You Get) editor that adds an enormous amount of flexibility for the writer/blogger. The ability to create and format tables, enhanced font control and multitude of useful formatting elements not available in the standard WP editor. Each of these functions can be accomplished using the html interface, but for time saving and ease of use, TinyMCE is one my favorites. There are literally thousands of WordPress plugins to substantially increase the usability, flexibility and ease of use for the developer, blogger and visitor. This small sample represents the basics for any initial setup. Suggestions, comments or questions are welcome. Filezilla is one of the best FTP programs available, and totally free. It doesn’t get much better than that. There’s no better compliment to a WordPress (or any, for that matter) blog than FileZilla. This primer will show how easy it is to transfer files from your computer to your website quickly and easily. The image below describes the functions of each window of the interface. Transferring files is as easy as right-mouse clicking on the file and selecting “upload”. Take a minute to review the image. Click on the “New Site” Button just below the “Select Entry” window. A new entry will appear and be highlighted under “My Sites” in the “Select Entry” window. important – User names and passwords ARE case-sensitive and there can be NO spaces between letters or words. That should be all you have to do. Once those fields are filled in, you click on the “Connect” button and you should be in and ready to start transferring files. Basically, you’re moving files/folders (directories) from your computer (window 4 above) to your web server (window 5 above). The left side of the FileZilla interface is your computer, and the right side is the web server or remote site. You can do that by right-mouse clicking the files/folders(directories) and selecting “upload”. You can control-click or shift-click a group of files/folders(directories) and right-mouse click or you can even click and drag files/f0lders(directories) from anywhere else into the remote site file window (window 5 above). Window 6 will show you the status of your transfers. When you first connect via FileZilla, you could get confused by all the folders/directories on your remote site/web server. If a number of folders/directories appear, the only ones you’re concerned with is “www” or “public_html”. Double click on that folder/directory and upload your files to there. Very often, both directories exist, if that’s the case upload to the “www” folder/directory. If the “www” or “public_html” folders don’t exist, than you are in the root directory, upload your site there. EVERY HOME PAGE IS ACTUALLY A FILE NAMED “INDEX” OR “DEFAULT” (example: index. htm, index.html, index.php, index.asp, default.asp, default.html, default.htm). If that file does not exist in your root directory, than users can not visit your website. You’ll notice I always used folders/directories in the descriptions above. We’re used seeing folders on our computers, but they are always directories. On a web server, directories is more accurate terminology. In the FileZilla interface image above, you see a number of directories. Those are the directories in my flathead site. The first directory is 4sale. If you were to open a browser and type http://www.flatheadenterprises.com/4sale in the address pane, it will take you to the contents of that directory. I have an index.html file in that directory, so you’re browser can read it, otherwise, it’s likely you’d get an error message. FileZilla does not recognize changes you’ve made while the FileZilla application is open. For example, if you add an image to a folder that you’re working on while FileZilla is open, it will not automatically recognize it. You’ll need to either close and reopen the application, or as I do, click on some other folder than go back to the folder the image (or whatever) you added is in. There’s no automatic refresh nor is there a refresh button. To me, this the best part. You’ve been working for days/weeks/months to get your site to a place where it’s really cool. But nothing is forever, and if you’re talking electronics, anything can happen at any moment. Create a folder on your computer called something crazy like “site-backup-(date)”. Open FileZilla, select all files and folders and download it to that folder. It’s gonna take a while, but you don’t have to wait for it, so go see what you have saved on DVR and check back later cause it’s all getting done. Afterward, burn it to a CD/DVD and you’re completely backed up. If you are using wordpress or some other database driven website application, than exporting the .sql file and saving that completes the backup, but if you know what that stuff is already, you probably already know this stuff anyway. Don’t hesitate to ask me any questions, love to help. Why buy the same movie twice? Convert your DVD with two FREE programs. Both are free software programs. DVD Decrypter was one of the original decrypting programs and still one of the best. Super is a free audio/video conversion program that can convert almost anything into almost anything. 2. Insert the DVD you want to convert and open DVD Decrypter. DVD Decrypter will automatically recognize the dvd and one simple click of a button will copy the files to your hard drive. 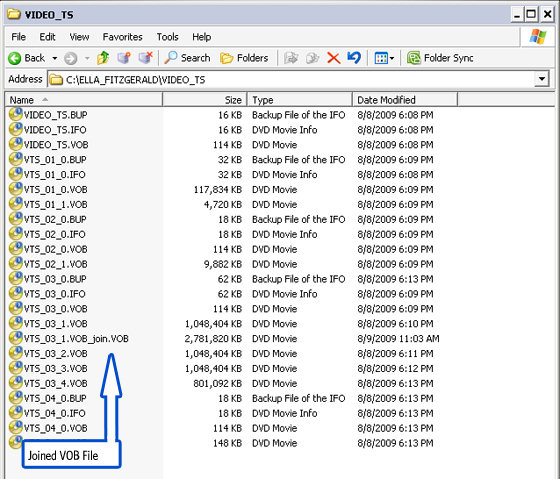 DVD’s are split into many different files (see above), but the actual movie is in a few VOB files, which are actually MPEG’s. As you can see in example #2, this movie was split into 4 sequential VOB files (VTS_03_1.vob through VTS_O3_4.vob). Don’t use the IFO file. 4. Make a note of the names of the files and where they are being saved. 5. Click the DVD to hard drive button to save the movie. It’s helpful here to switch your folder view to either “List” or “Details” to more easily identify the files you need. 7. Open Super and choose the lower radio button in the top left. Select “Join Format-Identical Files” from the small arrow next to the window. In the top left of the program (see example #3), there are two vertically aligned radio buttons. The top radio button is to select the Output Container for the movie and the lower button is to select an Output Process. Clicking on the little arrow just to the right of the window will activate a drop-down menu where you can select your process. 8. Control-click or shift-click the files you need and drag them into the “Job List” window in Super. 9. Click on the “Join (Active Files)” button just below the Job List window. The files need to be named sequentially – The file names need to be identical except for the last digit or letter in order for Super to recognize the correct order. The example is 1-4, but your files may differ and you may need to rename a few of the file names for the Join process to be successful. 10. 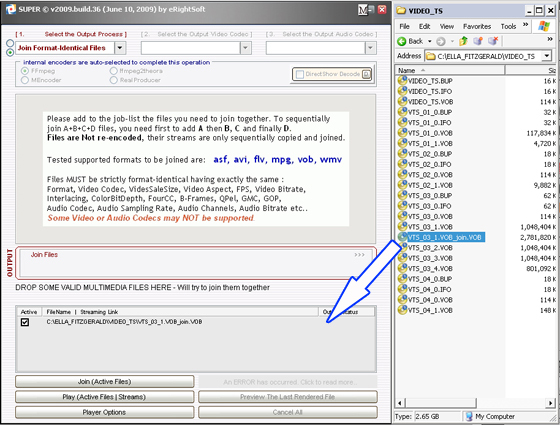 After process is complete, remove source files from Job List and replace them with the newly created, “Join”-ed file. Joining doesn’t re-encode, it merely concatenates the separate movie files into one continuous movie file, which is probably how you’d prefer to watch it. By default, this version of Super copies the new file into the same directory or folder as the source files. Right mouse-clicking anywhere in Super will bring up the context menu where you can remove the files from the Job List. Open the VIDEO_TS directory or folder, click and drag the new file into the Job List window. 12. Click on the “Encode(Active Files)” button and within a few minutes (could be several), depending on your individual computer’s RAM and CPU speed, your movie will be saved. The time it takes to encode your movie can take up to the same length of the movie itself. 2-4 Gigs of RAM is recommended. The finished movie, formatted for your iPod will most likely be saved in the same directory or folder as the source files. After your movie has been successfully converted, just add the new video to your iTunes video library and sync up. You may want to rename the MP4 file before adding to iTunes, but that’s up to you. Please leave questions in comments section below. Internet Scams – How Do You Know? Oh The Sweet Seduction Of EASY MONEY. The adage, “if it’s too good to be true…, it probably is”, applies 10-fold in the internet scam arena. Internet marketing scams, multi-level marketing, email scams, investment scams, retail scams, ebay scams, craigslist scams… the list goes on. A modicum of common sense is your greatest defense. After that, google can help immensely. A little research never hurt anyone. Untamed, uncontrollable and still very young. Anybody can come up with an idea, set up an online store or service, and start a business with little or no money up front. No need for qualifications, licenses or degrees. It’s capitalism at it’s best, and worst. The bad news is that there are tens of thousands of scammers out there who are out to get you. The good news is that there are relatively simple ways to discover whether or not they’re for real. 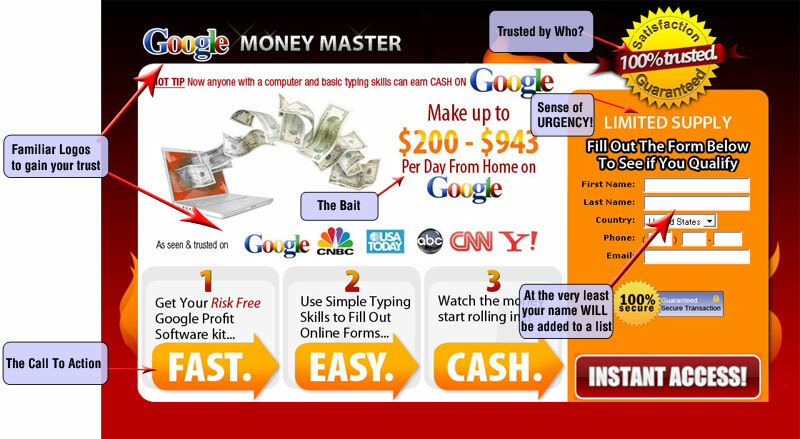 You’re led to believe that for only $2.49 you’ll be sent the “Google Business Kit” and all you need to do is spend a few minutes online every day and all your financial worries will be over. HA! What really happens is if you don’t read the lengthy, hard to find, fine print, than you’ve just signed up for $60 – $100 worth of charges per month. 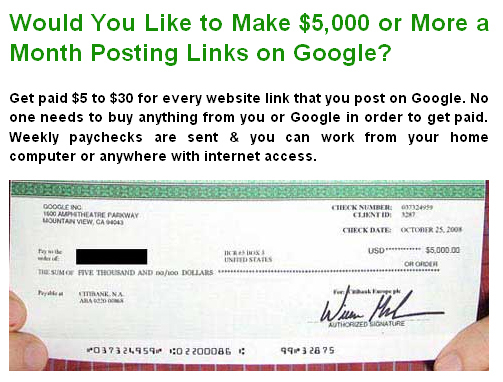 Check this thread – Why Google not stopping “Google Business Kit” if that is a scam? . Did you grow up in Mayberry or the Bronx? When you look at them, you’ll notice striking similarities. Both of these guys copied and pasted the sales copy (writing) into a website template, bought a domain name and started promoting their sites. The green tipster takes you to the example above, mike’s money site takes you to a landing page where you only have minutes to decide!! Oh My!! Look at the url of the site. Make sure it is what it said it was going to be. READ THE FINE PRINT AND TERMS OF SERVICE (TOS). A little bit of digging can save you time and money. 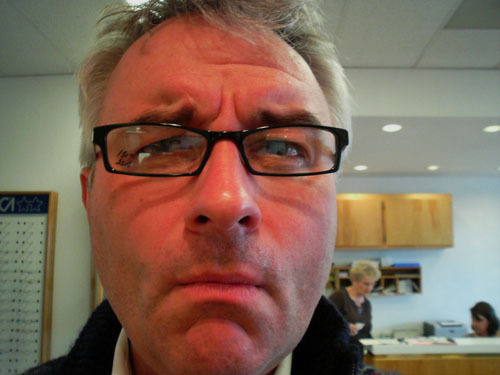 Posted byreeljerc June 18, 2009 Posted innewsTags: craigslist, easy money, ebay, google, internet marketing scams, internet scams, scams, scams.org, snopesLeave a comment on Internet Scams – How Do You Know? Have you found a song you really like, but not enough to buy it? DRM, or Digital Rights Management, is the technology used by Movie Studios and Record Companies to protect their intellectual property. However, it is largely ineffective when it comes to your computer. I have not found a DVD yet that could not be cracked by a defunct, yet absolutely effective little program called DVD Decrypter. I simple google search will assist you there. That program along with DVD Shrink, will enable you to copy any DVD you’ve purchased to a blank disk (for backup purposes only, of course). In The Audio Realm, The FREE Program Audacity Makes It Easy. To me, pirating is mass production of copyright material and unauthorized sale of that property. If you buy a CD or DVD, that intellectual property becomes yours for personal use. If you want to protect your investment by making a backup copy of something you already paid for, you should not be considered a criminal for doing it. If you make copies and sell them, however, you should be fried and I’ll be happy to provide the lighter. Facebook changed it’s terms of service earlier this month so that anything you post on FB is theirs. Satellite TV from your PC! Grown children are buying computers for their parents to improve communication. Many of the “long-in-tooth” crowd pick it right up. Others, not so much. This series is intended for the absolute beginner, but you might get something out of it too. Safe surfing means having a basic understanding of what dangers exist and how they affect you. Viruses, spyware, malware and adware affect Microsoft Windows computers primarily. Hackers are indiscriminate, but the vast majority of hackers typically attempt to compromise Windows machines. Due to the architecture of Microsoft software and operating system, more opportunities exist for the hacker to exploit Windows, than in Linux machines or Macs. The specific definitions of spyware, malware, et al; are unimportant. The idea is to know what to look for, avoid them when possible and/or remove them once they’ve landed on your computer. Avoiding them means knowing what not to click on, removing them is the practice of cleaning out your machine from time to time. If that last sentence scared you, GOOD. The hackers still have the upper hand, but, that doesn’t mean you have to be afraid of surfing the internet. There are tools you can use and techniques you can employ to protect your privacy. Put a router in between your computer and your modem. Even if there’s only one computer in the house, a router is a hardware firewall which effectively anonymizes the ip address of your computer. Software firewalls, like the Windows Security Center, are easily compromised and highly ineffective. To other computers, your computer is a series of numbers called an ip address. Each computer has a unique ip address, sort of like a fingerprint. The internet is really just a bunch of computers all connected together in a network. The network is made up of Servers and Clients. Servers direct all the traffic, track and log activity and store information. Clients are users, like you. Open a Newegg.com Preferred Account Today and Save 1.1% on your purchase. When you open a browser (Firefox, Internet Explorer, Opera, Safari, etc) you make a call or a request to a Server, which is typically your Internet Service Provider or ISP. The Server sends your request to it’s intended destination which is usually a website that resides on a Server somewhere else. Your identifier, in the form of your ip address is stored on every server you visit and are directed to, and through. When one of these bad programs or a hacker obtains the ip address of your actual computer it/they begin a series of searches for what’s called open ports. Your computer has over 10,000 ports that are used by different programs on your computer for a variety of functions, but most often they are used as a portal for a specific program to communicate with other components via the internet or network. Hackers, both white-hat (good guys, right) and black-hat, have found vulnerabilities in the code used to actuate these processes and have developed what are called exploits to attempt to break in or compromise a computer system. That’s one reason Microsoft regularly sends out updates. Updates many times are patches or fixes to their own code which repair the vulnerabilities. That’s why anyone in IT recommends updating your system regularly. The benefit of putting a router between your computer and your modem, is that a router adopts the ip address and basically becomes the gatekeeper between you and the internet. A router is a small computer that only runs one program, typically utilizing the Linux OS, which is extremely difficult to hack if not impossible. Therefore, hacker exploits are stopped at the gate as it were, unless you inadvertently let them in by clicking on the wrong link. If you see a pop-up that you weren’t expecting, close it. On my FREE Guide to Internet Security, I show several examples of fake system messages. Unfortunately, the bad guys have gotten good at replicating actual websites and system messages. If you are unsure, Google can be your best friend. Look at the message and either write down the contents of the message or open up a separate browser tab or window and do a Google search based on the message. Please read my FREE Guide for more info. Another point of entry is through email and Impostor Links. Impostor links lead to Impostor sites which look exactly like Bank, Credit Card, etc sites, but are clones whose sole intent is to get your information. One way to check whether or not a link is an imposter is to place your mouse pointer over the link, without clicking on it and look at the web address in the bottom left-hand corner of your browser window as illustrated below. ISP spam, virus and phishing filters have improved, but every now and then something will slip through and it pays, literally to be on the safe side. I hope this first installment has been helpful. Please don’t hesitate to comment, critique or contact me with any questions. Computer does not recognize USB connection. Or, computer recognizes when USB is plugged in but doesn’t see your device or doesn’t work properly. Troubleshooting a computer issue is most often a pr0cess of elimination. We start with the least complicated measures to correct the problem, test and if unsuccessful move on to the next. unplug the usb cable and if possible, try it out with another device or on another computer. >Look for a yellow question mark or exclamation mark over any of the USB device drivers. If that is the case, right mouse-click on the driver with the question mark or exclamation mark and hit your Delete key, then restart your computer. Deleting the driver and restarting will force your computer to re-install that particular driver. Updating the driver is an option, if you have an updated version that you’ve downloaded, but most often Windows will recognize that the driver is already installed but not that it’s corrupted so it won’t automatically re-install. Deleting and re-starting forces the issue. Remove the battery in your computer for at least 30 seconds, replace and restart. When digging into your computer always unplug the power source. You may have to check online to see how to remove the side panel from your particular model. Once inside, look for something resembling the image above. The battery is held in place by a small clip enclosure which can be released by pressing the little tab with a small flathead screwdriver or even a pen. Leave the battery out for at least 30-45 seconds, this will reset the motherboard so you may have to readjust the time or internal clock once you computer fires back up. Most devices are powered by software called Firmware. Firmware is updated periodically as issues arise with the device in question. Go to the device manufacturers website, look for the support or downloads section and search for updated software or firmware versions associated with your device. If reinstalling the software or firmware still does not resolve the issue, you may need to contact the manufacturer for either more detailed instructions or replacement. As mentioned above, the last possible problem could be a faulty motherboard, but test out the USB connections extensively with other devices before you make that determination. As with the devices, the firmware on the motherboard may need to be updated. Check with the computer or motherboard manufacturers website for updates. If that finally does not resolve the issue, feel free to contact me with the specifics of your particular issue. Microsoft, long the King of the Hill, is steadily losing market share. The problem with being King of the Hill is that somebody is always trying to take you down. Slashdot reports that Internet Explorer (IE) market share has dropped below 70% for the first time in eight years. IE represents the single greatest marketing tool in the Microsoft arsenal. They are seriously concerned, but what can they do? In an industry as vast and diverse as personal computing has become, how does a company retain such a lopsided advantage? As humans collectively gain a greater technological understanding, we are discovering that there are options out there that perform better, are more customizable and totally FREE! Also, when a company reaches the unfathomable enormity of Microsoft, things are bound to fall through the cracks, which doesn’t help. Consider the recent Zune debacle. On Dec. 31st, 2008, the Original Zune froze. The Seattle Times reported that starting at 12:01 AM reports of frozen Zunes started flooding the blogs and user forums, affecting possibly over a million people. A bug in the internal clock was thought to be the culprit, Zune didn’t know what to do with the 366th day. They reportedly fired back up on Jan. 1st, 2009. The internet began as a way for scientists, engineers and scholars to freely share information. These intellectual superiors did not consider the newly found form of hyper communication as a revenue source, and thankfully that hippie-like flag has been carried through the current revolution and there are thousands of FREE applications available just for the asking. An Open Source Operating System (OS), developed by Linus Torvalds offers a multitude of distributions, or versions if you prefer, including Ubuntu which represents a direct challenge to the Microsoft empire. Ubuntu, founded by Mark Shuttleworth, designed for ease of use has been gaining acceptance worldwide as a desktop application. Linux is already the Server OS of choice worldwide. Apache is the most popular web server software on the internet and was founded by Brian Behlendorf. MySQL, authored by Michael Widenius, is a relational database management system which has more than 11 million installations. The program runs as a server providing multi-user access to a number of databases. PHP is a scripting language originally designed for producing dynamic web pages. It was created by Rasmus Lerdorf, and the acronym originally stood for Personal Home Page. While Microsoft continues to force computer hardware upgrades with each new release, Ubuntu, on the other hand, works perfectly well on your old machines. Ubuntu also includes a bundle of FREE software programs with each installation that competes with MS Office, Adobe and other popular and relevant software programs. If you have music, spoken word or other audio on cassette and want to listen to it on your iPod, it’s easy and FREE to do. Open your Audio Recording program. I’ll be using Audacity, which is a FREE audio recording program that has lots of features. You can download it HERE. Download, install and open Audacity, and set the input to Line In or Microphone, depending on whether you plug into the back or front of your computer. Plug the audio cable into either the Line (blue) input on the back of your computer or if you have a Mic (pink) input on the front, use that. Press Play on your cassette deck or player, then click the round red Record button on Audacity. Once the song or other audio has finished, press Stop (obvious right). Go to File and Export MP3 and you’re done. You may need to adjust the volume on your computer (not your speakers) for the best possible results. Raising the volume level a few notches under distortion is usually best, just watch out for peaks in the audio. Audacity has lots of features to improve the sound quality of your recordings. Save a copy of one song or recording just to play around with. You can use the same process to record audio from video tapes on your VCR. If you change the input on Audacity to “Stereo Mix” you can record audio from internet radio or any music or video you play online. There are thousands of free programs available on the internet. The list below is not a complete directory, rather it is a list of FREE programs that are highly useful and well written. As a rule, the less programs you have installed, the better your machine will run. However the FREE software listed, with few exceptions, are small and lightweight meaning they do not heavily weigh-down your CPU or processor. CCleaner or Crap Cleaner is an extremely fast hard drive cleaner. Have you ever used UNDO? Of course you have, most any program periodically saves temp versions of the document you’re working on so that you can go back if you mess up. Those versions stay on your hard drive in Temp folders. Also, any website you visit downloads images, scripts all kinds of…well, crap on your hard drive. Use CCleaner regularly to free up hard drive space and keep things running clean. CCleaner also has a registry cleaner and program uninstaller. It’s a favorite amongst professional graphic artists and video editors. Spybot SD, still one of the best anti-spyware, malware and adware programs, and still free. Spybot’s advanced features include Immunizing your computer from known threat sites, control of your system start-up and running processes and control of your hosts file. No one program can defeat spyware, malware or adware alone. Lavasoft’s Ad-Aware is the perfect compliment to Spybot Search and Destroy. What one misses the other catches. As mentioned in an earlier post, files are not actually deleted from your computer, they’re moved to a different location and written over. PC Inspector’s File Recovery and Smart Recovery can recover accidentally deleted files. Has the Smart Card in your camera mistakenly been re-formatted? If so, Smart Recovery can recover your pictures and data files. It’s an amazing FREE program. Ever want a seperate graphical representation to see what your fonts look like? Amp Font Viewer does that and more. Fonts are fun, but can also severely slow down your system if you have too many. With Amp Font Viewer, you can temporarily install the font for the application you’re working on, then delete it. It’s cool. Ever want to “Photoshop” an image, but can’t afford Photoshop? Irfanview is an excellent alternative. Want to record your voice or convert your old cassette tapes to MP3’s? Audacity is a multi-featured audio recorder and editor. It supports multiple formats and has the ability to change speed and pitch, mix sounds together add effects and more. If you can’t afford Microsoft Office, but want to create files that are compatible with MS Office, there is no better tool than Open Office. Unbelievably, OpenOffice (OO) offers Word Processor (Writer) , Spreadsheet (Calc) and Powerpoint-like (Impress) programs all for FREE. FREE software to convert your favorite YouTube videos for your iPod. 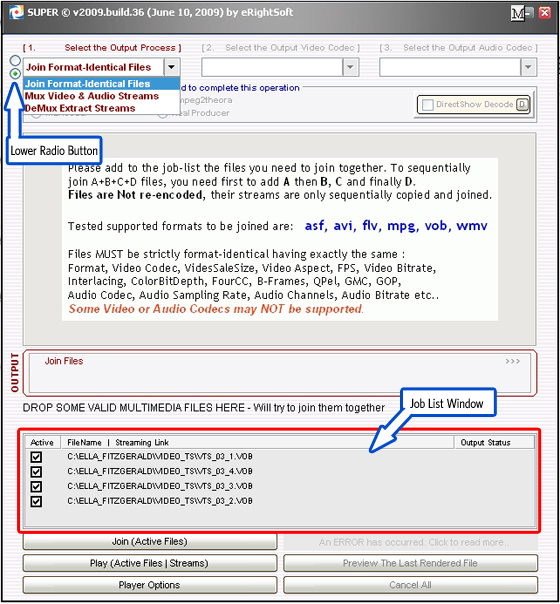 The program I use, SUPER, can re-encode video from and to the most common and some not so common formats. But here’s a quick way to save youtube vids to your iPod. What sets Firefox apart from the rest are the add-ons that vastly improve your functionality. Download and install Firefox. The best video downloader add-on is aptly named VideoDownloadHelper – you can get it here. You simply click on the Add to Firefox button and it’s all done. Most times with add-ons you need to restart your browser, but Firefox remembers and will re-open all your windows. By default, Firefox saves all downloads to your desktop. You can change that by going to Tools>Options and then browse to a different folder. Whatever your preference. Next you’ll need to download and install SUPER, download (here). Or, if you’re like me and absolutely suspicious of any free downloads, you can Google “super” and it comes up usually the first choice. Here’s the official link to the SUPER site. I offered a download link through flatheadenterprises.com simply because when you go through the official SUPER site, you’re led through a maze of links until you can finally download the software, and my lack of patience finds that rather annoying. I don’t know how long it will be free, but it is now and it will re-encode any video format. Install and open SUPER then click, drag and drop your video into the window as indicated in the image below. Next, choose the format for your output container. Digital video is actually a container that holds a separate video stream and audio stream. 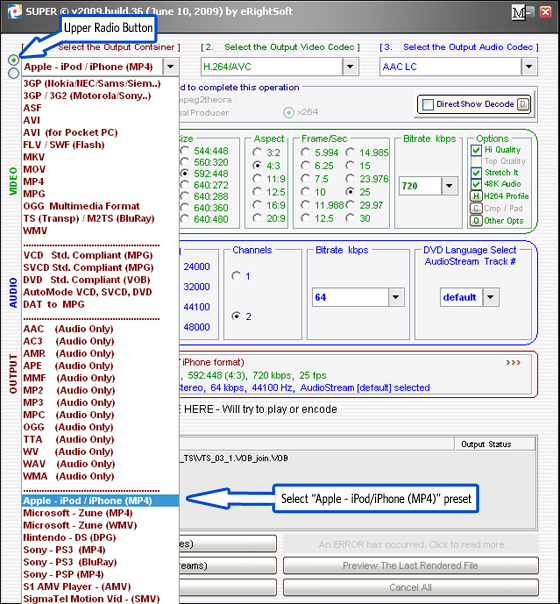 In the top left of the program is the Select the Output Container, choose the Apple – iPod iPhone selection. Then simply click the encode button and SUPER will convert your video to the iPod format. The default folder that your video will be saved or encoded to is C:\Program Files\eRightSoft\SUPER\OutPut on windows machines. Mac users can use Super Video Converter for Mac 1.0, for FREE encoding software. Afterwards, open up iTunes and add your new video. Right-click anywhere in SUPER for the menu to change any of the configuration options. Layers are the foundation of Adobe Photoshop. The following video is a quick tutorial on the basics of layers. Enjoy. WordPress is an open source blog application which is widely used because of it’s functionality, adaptability and inherent SEO-friendly structure. Anyone interested in blogging should seriously consider WordPress. The latest release is WordPress 2.7. For those of us upgrading from the previous release to WordPress 2.7, the upgrade was not necessarily seamless, but then it seldom is. Several new features were added which will greatly increase functionality, yet, as usual, some plugins and themes have caused problems or broken your blog. 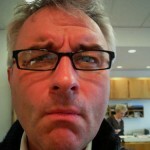 This time out, I started a new blog fresh with 2.7 and upgraded two others from 2.6. The initial installation of the fresh install got jacked because I tried to use all my old plugins. After nearly 10 hours of trying to figure out how to resolve the issues, I deleted the entire root directory and started over. The second installation was problem free mainly because before installing any plugins, I checked one place first. Check the plugin compatibility page BEFORE installing plugins for any new WordPress Release. I was starting a new blog, but I liked my old plugins and knew how to configure them. Some of my old plugins were redundant because the new Worpress release built them into the application. However, I learned that some of the newer plugins worked better or had added features, ultimately requiring less to mess with, which is always better. When initially upgrading from 2.6 to 2.7 everything seemed to work at first, but then my editor broke along with title tags and a few other minor annoyances. In this case a clean install of WordPress was out of the question. We had hundreds of posts and dozens of subscribers. But I ultimately not only fixed the broken blog, but improved it. Clean your WordPress database periodically. Before messing with your database, make sure to back it up. After backing up your database, export it into a comma-separated-values (csv) file or text file and look through it. You may find some interesting entries that you had no idea were there. Afterwards, there is a wonderful tool to find any unnecessary records that could be causing problems now or may cause unexplained issues in the future. If you’ve tried out a number of different plugins and either they didn’t work, or you decided not to use them, remnants still exist in your database. I highly recommend the Clean-Options plugin. Clean-Options checks through your WordPress database for orphaned options. The “options” table in your database holds the info for your plugins. If Clean-Options does not find an option with a “get_option” or “get_settings” referenced in any of your PHP files, it will display the record as orphaned and allow you to drop that database record. Dropping a database record is the same as deleting. Please be careful not to delete any shared resources. Only delete records that directly reference a plugin that is deprecated or not in use. I’ve used this plugin to reconfigure revisions of plugins as well. For example, the All-in-one-SEO-pack plugin wasn’t working right, so I dropped all the all-in-one database records, reinstalled and everything was great. WordPress is touted as an application for those who are not particularly tech-savvy. If you are not tech-savvy and run into issues with your blog, as you will from time to time, if can be a monstrously frustrating experience. These are just two simple tips to help you avoid pulling out your hair if you’re a newbie. Vista is on it’s way out. Windows beta testers are being summoned to try out the new and improved OS offering from Microsoft. In an email that went out recently to a select few (myself NOT included) Microsoft stated that the latest version is not available yet, but the Windows squad is assembling a “great team” of beta testers. A 3 step process to save your data and clean your computer, once and for all (until the next time). There are times when all else fails. You’ve tried everything and none of it worked. Your computer is so messed up you can’t deal with it anymore and it’s time to do something drastic. The good news is you don’t have to lose everything to do it. I wipe my drives clean once a year minimum, sometimes more. Why…? Because they get messed up. No matter how careful you are (and I’m not); drivers, configuration files, shared resources and many of the hundreds of thousands of files needed to run your windows machine are going to get corrupted. It’s a fact of life. Seconds after you bought your computer it became a dinosaur. Technology is moving forward at a blistering pace and our computers are constantly updating themselves but sometimes with disastrous results. Or, you may have gotten infected with a virus that will not go away. Whatever the case, it becomes necessary from time to time to start all over again. An 8 Gigabyte Flash drive can be had at geeks.com for under $25. A 64 GB Flash Drive (largest they make as of this writing) will run about $150. I’m always looking for FREE or really cheap. If you think you’ll use a 64 GB Flash Drive often, go for it. If your Flash Drive is large enough to store all the data you need, you won’t need to back it up onto a CD/DVD, however, it’s still a good idea to backup your docs on a disk from time to time. If you store everything in My Documents, you can find out real quick how much you have. Right mouse-click on the My Documents folder and click on Properties. Burning your photos, music and other documents onto a CD or DVD is a great way to backup your data. I recommend doing it once or twice a year as an individual or monthly if you’re using your computer for business purposes. If you have a choice between CDs or DVDs, definitely go with DVDs. DVDs are sturdier in construction and hold up to 4.7 Gigs of data as opposed to 700 Mb on a CD. Double-sided DVDs can hold 8.5 Gigs. If you have a Blu-Ray burner, use that. Blu-Rays hold 25-50 Gigs of data and are built to last. CDs have about a five year life with moderate use. Blu-Ray Discs and DVDs can last 15-25 years with moderate use. If you’re using them solely for backup purposes, they’ll last much longer than that. Darik Horn’s FREE software for wiping your hard drive clean. Download the software here. If you plan on selling or disposing of a computer, I recommend using DBAN to erase any data first. When you delete a file on your computer, it doesn’t actually go away. It’s simply moved to a different location and written over. If you haven’t deleted that many files, chances are you or whoever gets your computer, can retrieve almost every file ever deleted. Scary right. No really, once this program gets started it’s too late. The download is an .iso file or disk image file. It requires a program like Nero Burning Rom, MagicISO or PowerISO to run. If you don’t have any of those and are digging this FREE thing, you can download ISO RECORDER for XP and Vista and install that first. Create a boot-able CD and you’re ready to roll. Then, simply put the disk in the drive and do a restart. Your system should boot from the CD, but if not, do another restart but watch for a really quick message that tells you which key (f8 usually for Vista – f12 usually for xp) to push to get to the Boot From menu. Once there choose boot from CD. Once your computer boots from the CD you’ll see the Linux OS begin to load followed by a prompt asking you to type in one word: autonuke. Make sure you’re ready, because there’s no turning back after this step. Depending on the size of your hard drive and speed of your processor this can take anywhere from 2 hours to 2 days. Most computers you buy today DO NOT come with the operating system (OS) disks. The disks included are usually driver files for recovery purposes and junk software you don’t need. In many cases you can request the company to send you the OS disks, but they’ll often charge you for shipping or other fees. If you have the license, why should you have to pay for the software again? There are FREE options available, which I will not go into here, but contact me if you’re interested. 1. Backup all your data onto a flash drive, CD or DVD. If possible, copy your entire My Documents folder over. If your computer is a Dell, HP, Gatway, Compaq or other well known brand go to the manufacturer’s website and download all the necessary drivers for your machine. If you are changing from Vista to XP or vice-versa, make sure you download the correct drivers. Make sure you have all the serial numbers for each program you want to reinstall. If you use Microsoft Office and have no idea what the serial number is, there are FREE programs to retrieve that information. Check out these: Belarc Advisor or Magic Jellybean Finder. If you use Microsoft Outlook or Outlook Express you’ll need to export your Personal Folders or .pst files and copy that separately. Finally, browse to a location to save the file and rename it to something that means something to you. Include that .pst file in with all the other docs you’re saving. Place the Darik’s Boot-n-Nuke Disk in your CD or DVD drive and restart your computer. As mentioned above, it’s going to take a while. The program begins and after 5 or 10 minutes the window will display how much time is left to erase your hard drive. Remove the Boot-n-Nuke disk, put your Windows OS disk in and restart your computer. After Windows installs, each of your programs will need to be re-installed, along with all of the Windows updates and plugins. But your newly refreshed computer will buzz along faster than ever and everything will work right, at least until you screw it up again. If you ever get interested in learning more about the digital virtual world, I suggest you start my listening to Leo Laporte, the tech guy. Leo had a popular TV series called TechTV which ran from 1998 – 2004. TechTV was extremely popular for a tech-related show, it was broadcast in 70 countries and reached 43 million households. In 2004 Comcast’s G4 gaming channel merged with TechTV and soon dissolved the show much to the dismay of loyal fans. Leo currently airs a radio show on weekends, 11am-2pm, on clear channels AM KFI 640 in Los Angeles. His show touches on everything digital, computers, cameras, TV’s, home theater, wi-fi, iPhones, iPods, phones, etc. Leo accepts calls during the show and will help even the most technically challenged. His shows can also be viewed via video podcast on his site Leoville.com, compliments of STICKAM. Leo also offers several FREE video and audio podcasts on another website, TWiT – This Week in Tech. I highly recommend browsing through the volumes of information Leo freely provides for anyone interested in tech, or even just for fun.